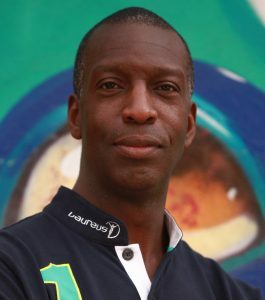 Michael Johnson won four Olympic gold medals and eight World Championships gold medals. He formerly held the world and Olympic records in the 200-meter and 400-meter, as well as the world record in the indoor 400-meter. He is the only male athlete in history to win both the 200-meter and 400-meter events at the same Olympics — the 1996 Summer Olympics in Atlanta. He also held the world’s best time at 300-meter. Considered one of the greatest and most consistent sprinters in the history of track and field, Michael was elected to the United States Track and Field Hall of Fame in 2004.